Graduated with an MBA from Curtin University at the age of 23! 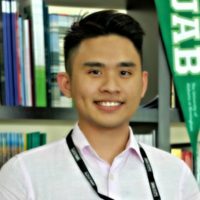 MBA at the age of 23? None of my family and friends thought it was possible too. This enduring yet exhilarating journey began when I stepped into Xceleration’s welcoming door back in 2010. Xceleration was a huge stepping stone for my education. They provided personalized educational services; all of my classes were tailored to me based on my learning capabilities and progress. My progress was monitored and reviewed frequently to ensure my time are scheduled in the most effective was possible. Most importantly, the teaching staff understood my needs and provided me as much assistance as they as they possibly can to prepare me for O-Level examinations, and my overseas studying endeavors. Xceleration did not only kick-start my education, but it also helped me realized my potential and life goals. The personalized education services of Xceleration made MBA at the age of 23, possible! Dalvin Ng completed his O-level at Xceleration Education. He then progressed to Foundation at Taylors College, Perth. He then moved on to pursue his degree at the University of Western Australia.